I am loving all of the stone fruits that are in season this month. The local farm stands in Pennsylvania are overflowing with fresh peaches, nectarines, and plums. Every week I have been enjoying stone fruit in my yogurt bowls, smoothies, or simply sliced up and eaten with breakfast or lunch. As much as I am loving them, it can be hard to eat them all before they get over-ripe. 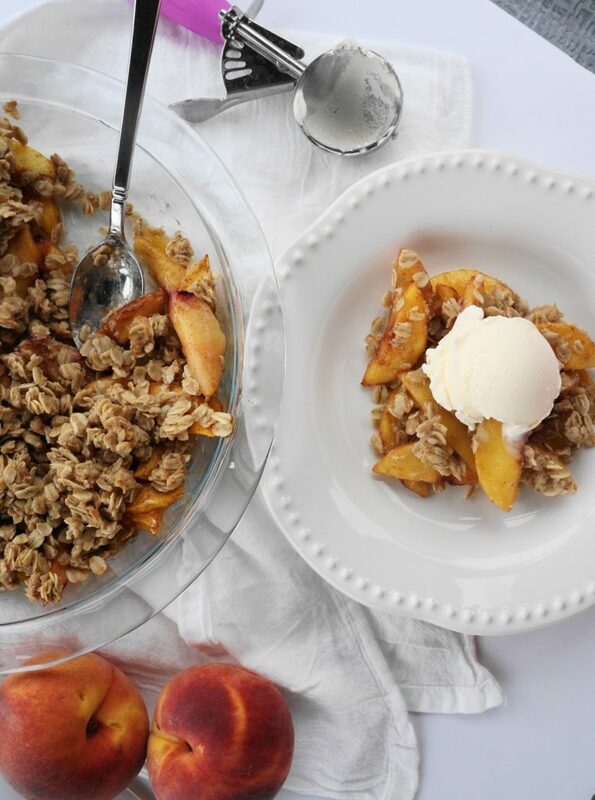 Enter: this Healthy Stone Fruit Crisp. This crisp is gluten free, vegan, and refined-sugar free. 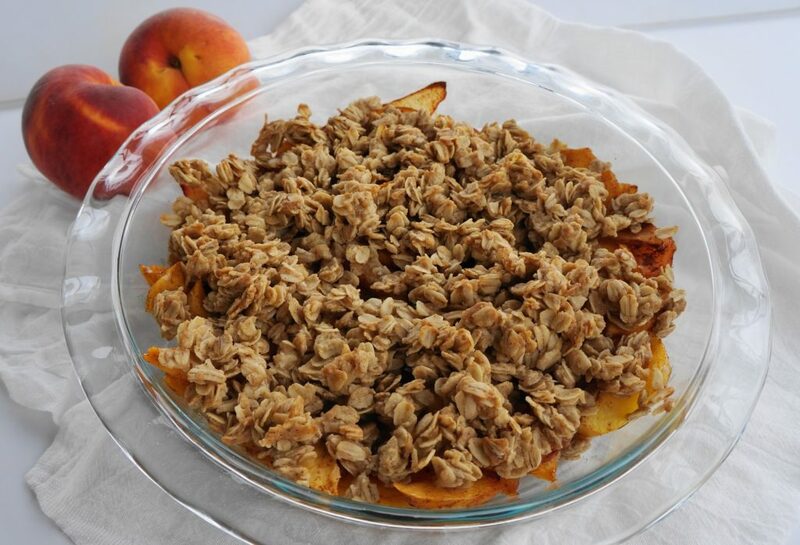 It is bursting with fresh, juicy fruit and topped with a delicious oat topping. It’s sweetened very simply with a bit of pure maple syrup, but it honestly doesn’t need much at all because the fruit is so sweet on its own. 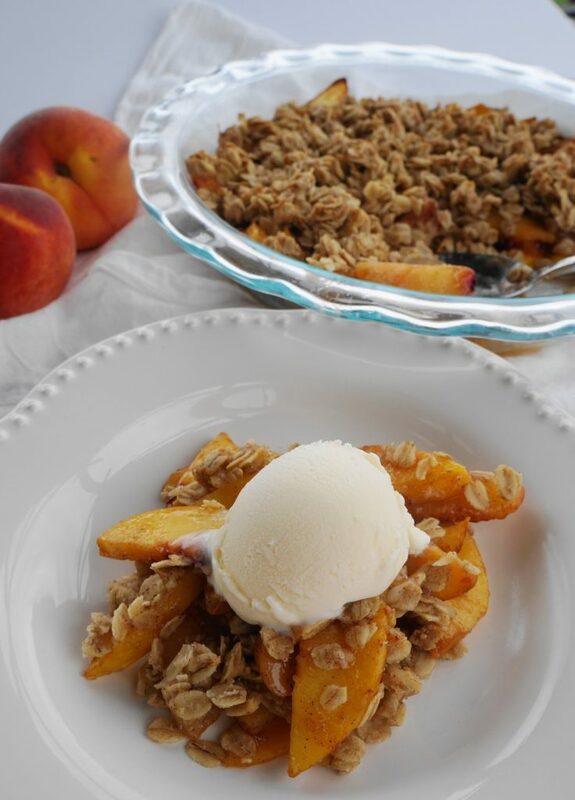 My Healthy Stone Fruit Crisp is also super quick and easy to make. It takes just 10 minutes to prep the crisp and 30 minutes to bake. So, in well under an hour you can have a delicious, healthy dessert on the table. If you’re feeling indulgent, serve it with a scoop of non-dairy vanilla ice cream to really take it to another level. 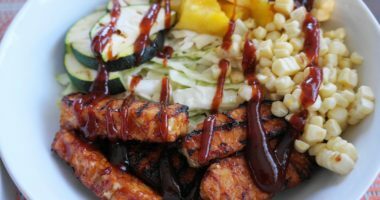 You could also serve it as is or with some plain Greek yogurt or coconut milk yogurt. 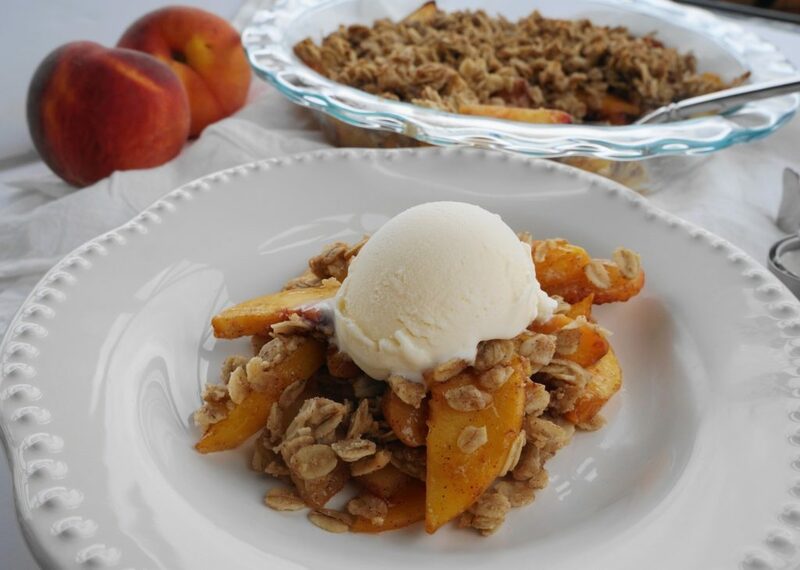 If you make this Healthy Stone Fruit Crisp, let me know by leaving a comment below! Peel and pit all of the stone fruit. Slice into 1/4 inch thick segments. Transfer to a bowl and sprinkle with arrowroot powder and cinnamon. Toss to coat. Turn out into a 9-inch pie plate. Set aside. Melt the coconut oil in a medium-sized, microwave-safe mixing bowl. Pour in the maple syrup and wisk to combine. Add the gluten free oats, brown rice flour, and cinnamon. Stir it all together and then use your hands to sprinkle the oat mixture evenly over the fruit. Bake in preheated oven for 30 minutes, or until fruit juice is bubbly and the topping is golden. Allow to cool for at least 10 minutes, then serve warm. 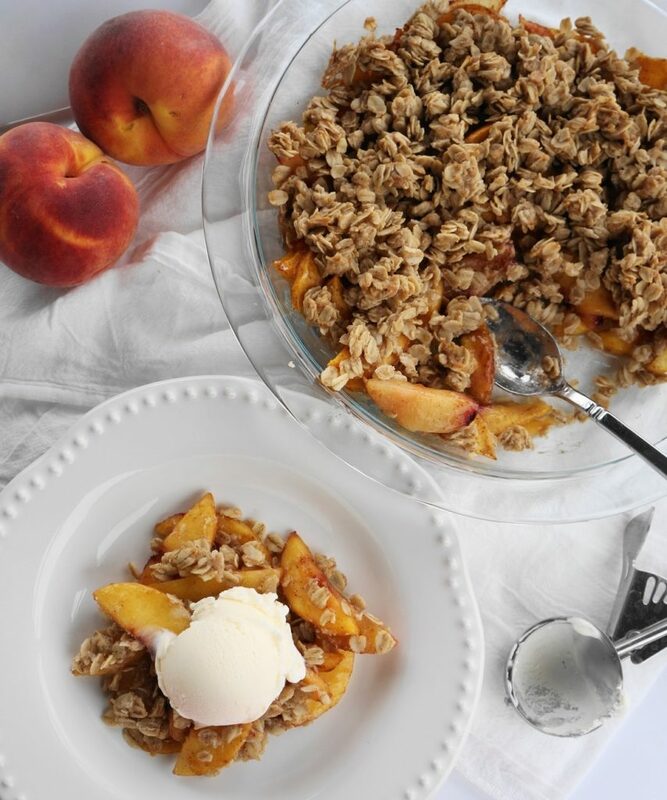 Leftover Healthy Stone Fruit Crisp will keep in a covered container for up to three days.